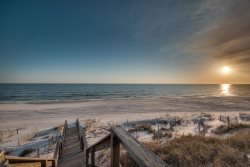 Discover things to do on 30A including favorite activities, attractions, shopping and the best restaurants in Rosemary Beach and other beach towns on the scenic 30A Highway! Top Eats! An extensive list of the best restaurants on 30A. Panama City Beach has a ton of great places to enjoy breakfast, lunch and dinner. Concierge Services are hard to come by, but much needed on 30A. Here are some of the exemplary companies that can get everything for you from beach chairs to scheduling whatever you need. You`ll find a ton of great places to eat in Destin, FL. Fun things to do all along the 30A corridor. The best 30A gyms and workout spots. Who doesn`t love a good massage while on vacation? Exclusive 30A Beach Property for Sale! Enjoy the many fantastic golf courses in the 30A area! A comprehensive guide to the best shops on 30A. Beach Chairs, Paddle Boards, Bonfires and more! The source for all of your beach equipment needs. For a special and unique beach vacation, find a private chef or catering agent. You can also find private transportation from the airport and more. Go here for all of your pet needs during your stay on 30A. You don`t have to worry about grocery shopping for your vacation. There`s someone available to do the shopping for you! Golf carts are a great way to get down to the beach while vacationing on 30A. Find baby supplies, such as cribs and bike seats available to rent if you are unable to bring your own on your next 30A vacation! Get your family portraits taken on the beach, at your wedding, around 30A, or at a nearby destination of your choosing!